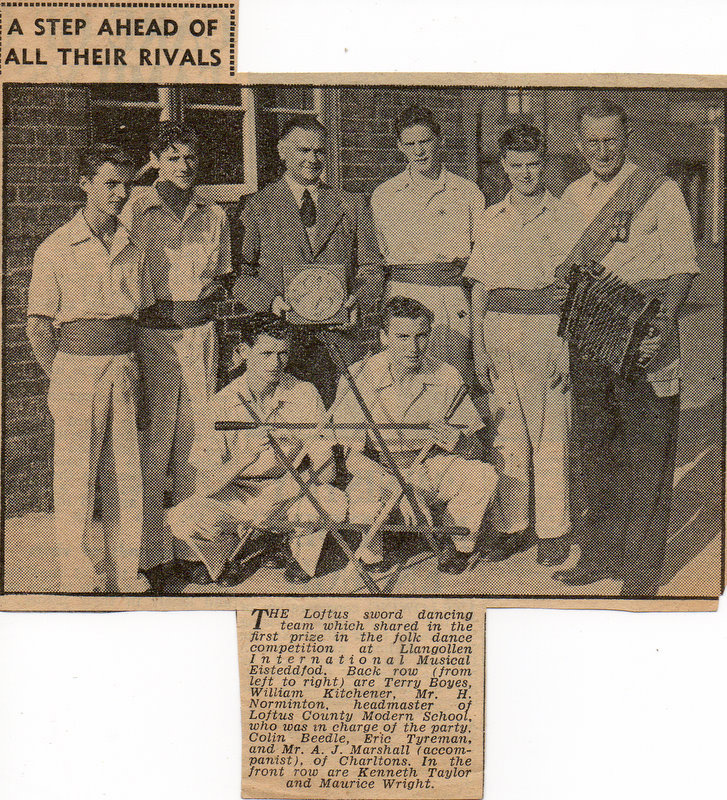 Image courtesy of Eric Johnson and thanks to Graham Harrison, Peter Appleton and Geoff Porte for the updates. The newspaper cutting says it all, do you remember this, were you one of these dancers? We would love to hear your story. 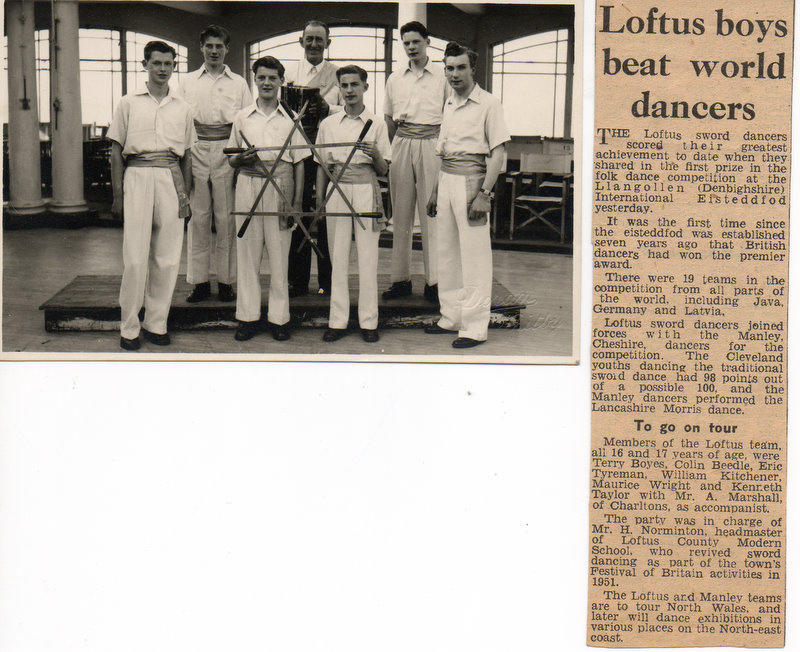 Bet you wish it was something stronger boys, the performance is over and after the strain of appearing in London’s Albert Hall the members of the Loftus sword dancers relax with a soft drink. 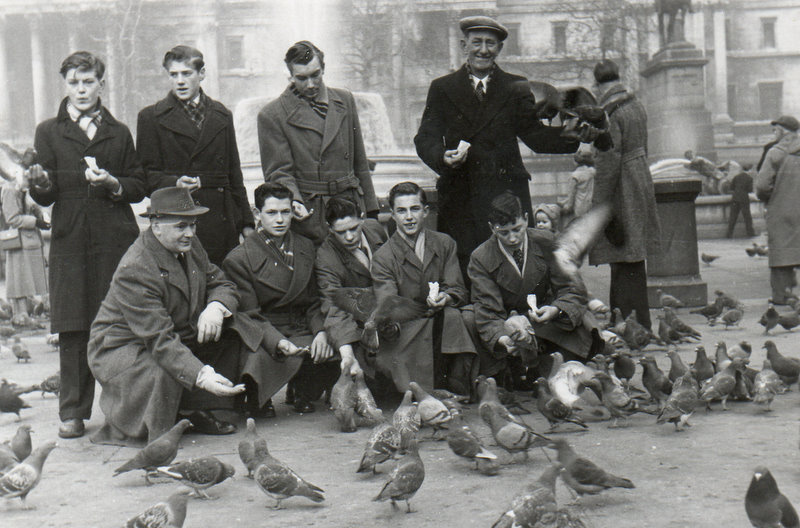 Feeding the birds in Trafalgar Square before dancing at the Albert Hall. Back row: Eric Tyreman, Billy Kitchener, Maurice Wright, Arthur Marshall (Musician). 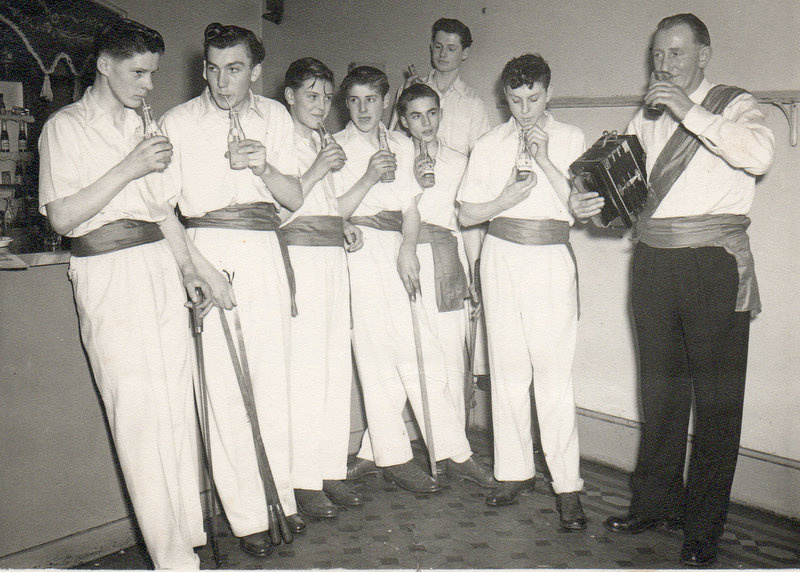 Front row: Mr H Norminton (Group Leader), Ken Taylor, Colin Beedle, Terry Boyes, John Hill. 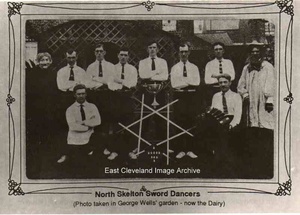 A lovey memory jerking newspaper cutting of the first team of sword dancers, with their trophy from Llangollen. Are there any of you out there willing to share your memoriesof that day? 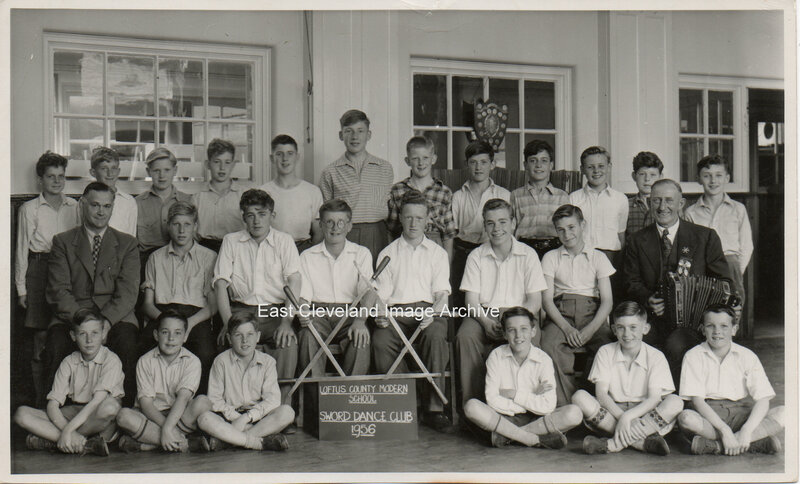 Nice to see all the faces of the dancers, 1951 when it all started for the Festival of Britian celebrations, who thought these young men would have won so much. 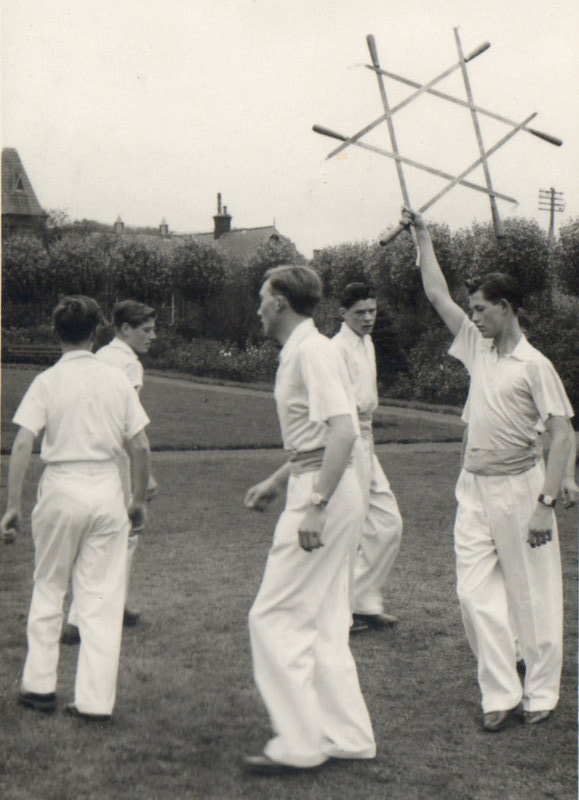 Left to Right: Mr Norminton, Eric Tyreman, Colin Beedle, William Kitchener, Terry Boyes, Arthur Marshall. 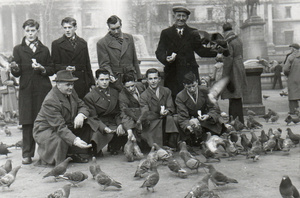 In front holding the lock: Kenny Taylor and Maurice Wright. 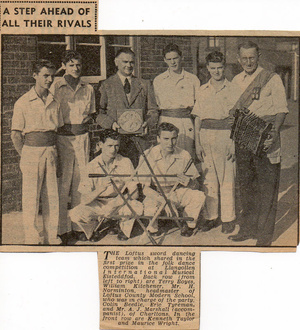 Thanks to Colin and Malcolm Beedle for the photo and thanks to Colin for the update. 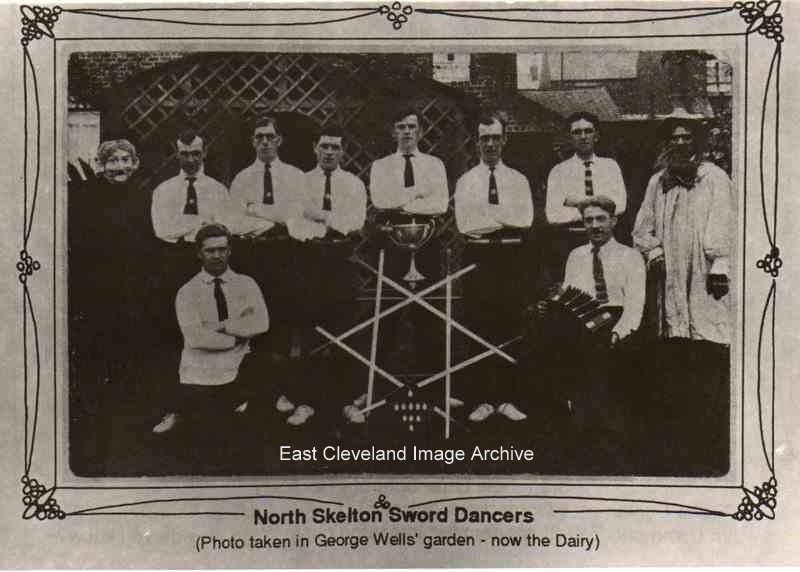 Lovely to see Arty under the swords. 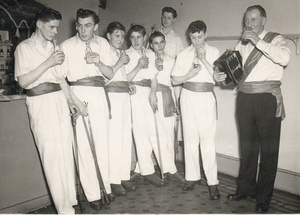 Back Row: David Robinson, William Morrish, Tony Walker, Robert Jackson, Donald Burton, Eric Lancaster, Keith Wilkinson, Barry Johnson, Barry Starsmore, Tony Hardy, Herbie Holliday, David Bramwell. 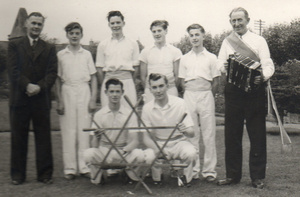 Middle Row: Mr Harold Norminton, Derek Cuthbert, Eric Johnson, Peter Dobson, Mike Pearson, Wilf Hodge, John Jefferson, Mr Arthur Marshall. Front Row: ?? 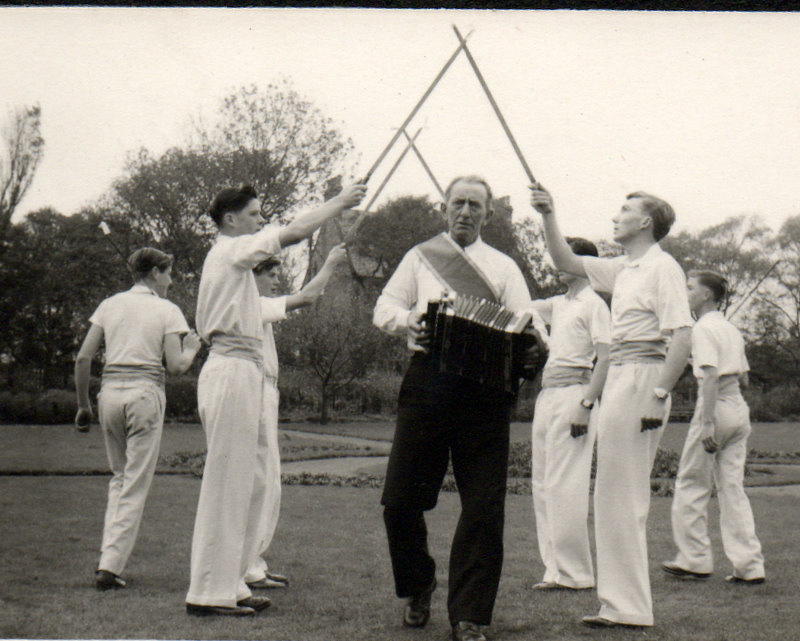 , Roger Hall, Alistair Bailes, Frank Chapman, Colin Fenby, Neil Dales. Image courtesy of Eric Johnson.